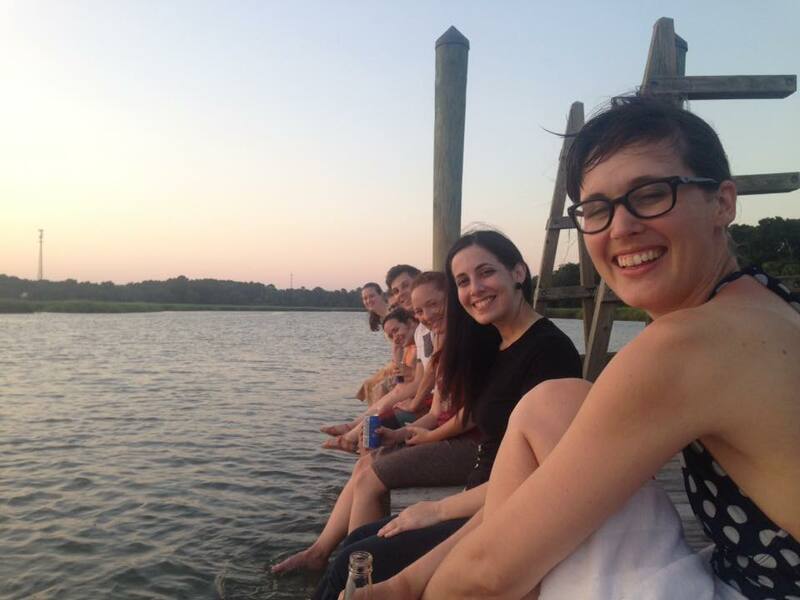 The Winterthur Program in American Material Culture (WPAMC) took our annual southern studies field trip recently. Since the last trip occurred, Catharine Dann Roeber has taken over as assistant professor of Decorative Arts and Material Culture, and I have stepped into the manager and instructor position in Academic Programs. In organizing this year’s trip, Catharine and I tried to pay homage to the hallmarks of the traditional southern trip while broadening its scope with new destinations, perspectives, and themes. This meant continuing our pilgrimage to Savannah, Charleston, Columbia, and Winston-Salem while also visiting new locales such as: Asheville, North Carolina, to see Biltmore, the Grove Park Inn, and Black Mountain College; Cherokee, North Carolina, to visit the Museum of the Cherokee Indian; Greensboro, North Carolina, to visit the International Civil Rights Center and Museum; Luray, Virginia, to see the caverns and historic museum; and St. Helena Island, South Carolina, to learn more about Gullah culture. Although Columbia, South Carolina, has been a stop on the WPAMC’s southern journey before, new developments at Historic Columbia provided an incredible experience for our emerging scholars. A new interpretative framework at the Woodrow Wilson Boyhood Home showcased the shift from period rooms to telling the broader story of Columbia during the tumult of Reconstruction—an era which profoundly shaped the worldview of the future president. This change was sparked by a new generation of staff members at Historic Columbia. 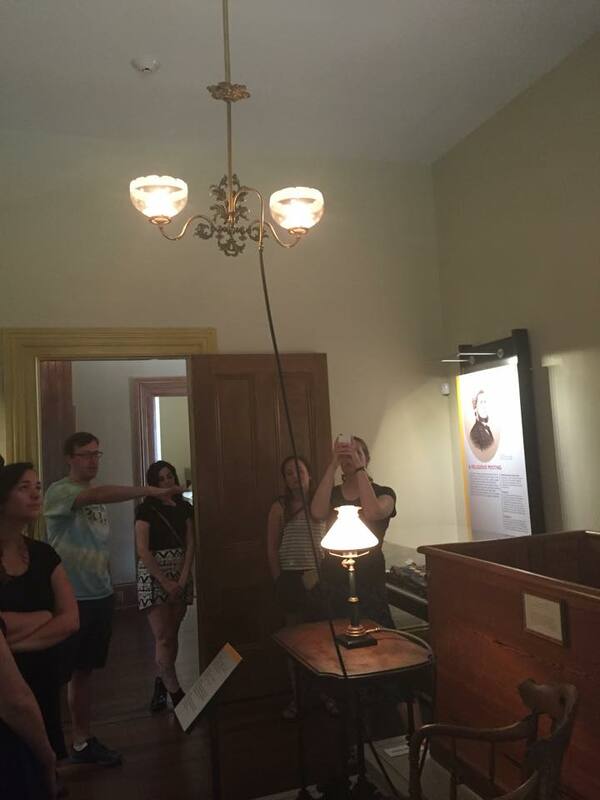 One of them, our guide and director of education James Quint, explained that the lack of original furniture and documentary evidence of Wilson’s brief time in Columbia resulted in a stale and largely speculative experience for guests. Taking cues from recent scholarship, especially Frank Vagnone’s controversial but acclaimed book The Anarchist’s Guide to Historic House Museums, Historic Columbia preserved the few items of decorative art that definitively belonged to the Wilsons in order to facilitate the telling of a larger story: the rise and fall of Reconstruction in Columbia. 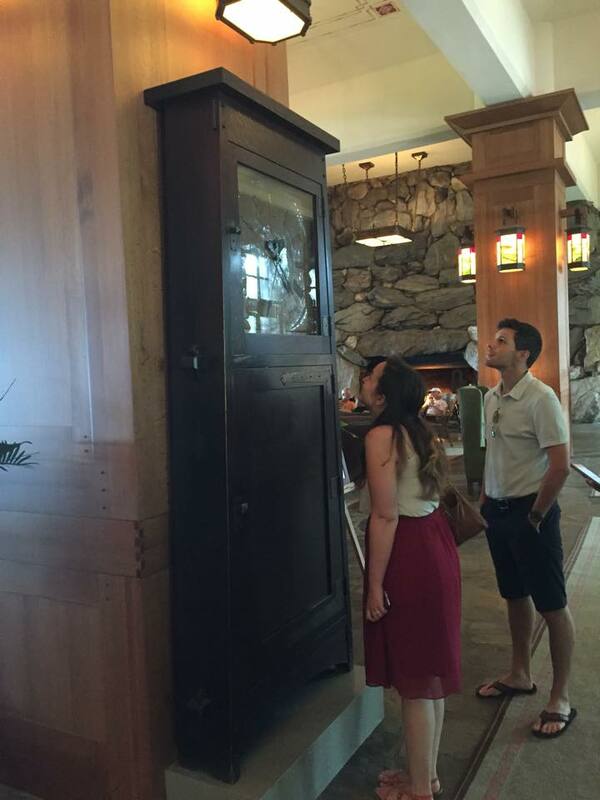 Our students were inspired by seeing the lessons of their museum studies classes brought to life in the field. One way in which we gave the classics a new twist was by making new connections. 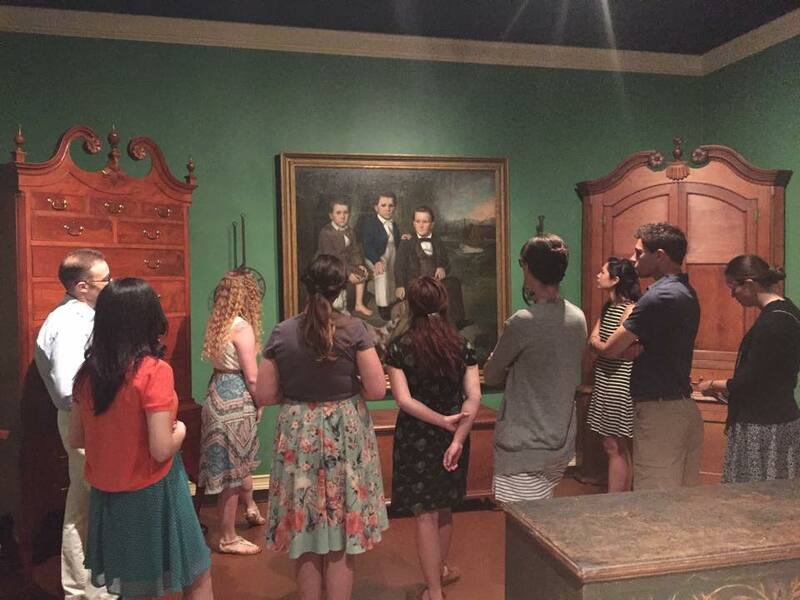 At the Museum of Early Southern Decorative Arts (MESDA), we toured their incredible collections and were able to talk with students and faculty in their Summer Institute in order to exchange ideas and forge personal bonds, which greatly strengthens the field of material culture. The idea of passing the torch to a new generation was a common refrain on this trip—unmistakable to the ears of instructors. At nearly every stop, our guides and guests stressed the importance of preserving the past by passing it on to present and future generations. In many ways, these men and women were giving our students the gift of their knowledge of the past and entrusting the students with their life’s work. This was brought to the forefront during our overnight stay on St. Helena Island off the coast of South Carolina. Here we visited the historic Penn Center—the first school established specifically for the education of newly freed slaves. Since its founding, the Penn Center has been a bastion for the preservation of Gullah (descendants of enslaved Africans who lived in the low country of Georgia and South Carolina) culture and a hub for advancing the rights of African Americans nationwide by promoting initiatives for land retention, environmental stewardship, public health, and civil rights. As our students walked along the paths, sat on the dock, swam in the ocean, and slept at the same place where Martin Luther King, Jr. first drafted his “I Have a Dream” speech, they not only learned about this history but the importance of this place to the surrounding community. This theme carried on to dinner at Gullah Grub, a restaurant specializing in Gullah cuisine. Here, our guide, chef, farmer, woodsman, and Gullah expert, Bill Green brought this culture to life through food. 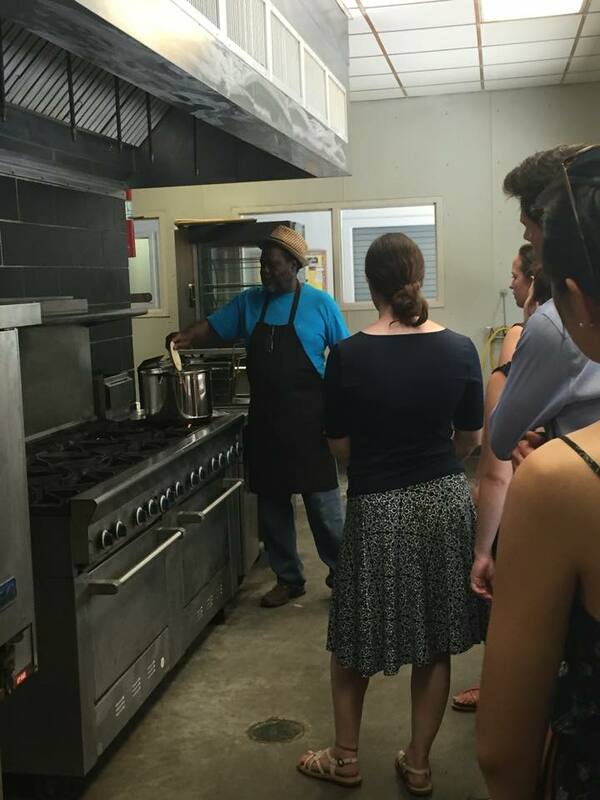 Like the folks at the Penn Center, Bill has turned his focus to the future by bringing on an increasing number of young staff members to learn the ways of Gullah culture: its foodways, its sensibility, and its traditions—on that night, this included the WPAMC class of 2017. 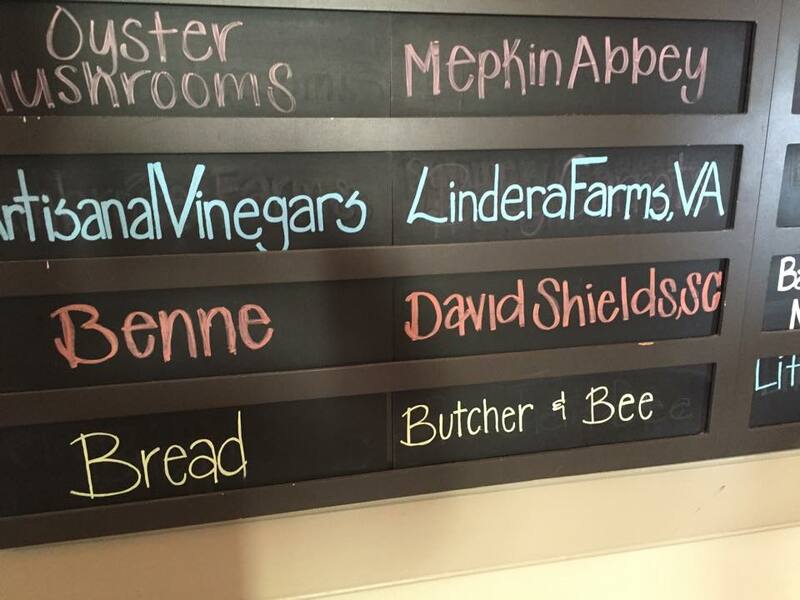 Elsewhere historians, agricultural scientists, chefs, and farmers are preserving the past by bringing it to life. While in Charleston, we visited with Professor David Shields and Dr. Brian Ward at the Clemson Coastal Research Education Center and dined at Chef Sean Brock’s restaurant, Husk. These three men are preserving the past and passing it to the next generation by rediscovering southern foodways. They research historical recipes, account books, and inventories to find plants such as Carolina Gold Rice, the Bradford Watermelon, and other heirloom crops and replant them in the places where they once grew in abundance. Their bounty ends up on the plates of guests in restaurants to help preserve the culture of the past in a delicious way. The fellows watching Bill Green cook up a delicious Low Country Shrimp Boil at Gullah Grub on St. Helena Island, SC. The secret to good food: smiling while cooking! Finally, our students realized the importance of the future of stewardship at Prestwould Plantation. Dr. Julian Hudson, the longtime director, casually remarked that he was looking for one of our bright, young students to take his place at Prestwould in the not-so-distant future. While it was easy for our students to dispatch the comment as flattery, Dr. Hudson revealed a real concern—the future of Prestwould after his departure. Dr. Hudson was telling the students that they were the future of places such as Prestwould and it would one day be up to them to assume the mantle. He was right. There is no one better prepared to do just that than the students at Winterthur. Winterthur field trips are not just about visiting new places, meeting new people, and discovering the American past—they are about educating and inspiring the next generation of museum professionals, academics, and educators. In one short year, they will be charged with preserving and promoting the past to a wide audience, but the fact of the matter is they have already been doing this—the southern trip just gave them further inspiration. I for one cannot wait to see the ways in which they will take the gift of the past and bring it to life for many years to come. This entry was posted in Academic Programs, American Culture Studies, Behind-the-Scenes, Decorative Arts, Students & Alumni, Uncategorized and tagged Winterthur, Winterthur Library, Winterthur Museum, Winterthur Museum Garden & Library, Winterthur Program in American Material Culture. Bookmark the permalink.